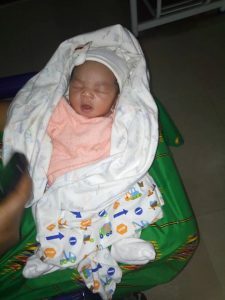 A Nigerian lady has become an internet sensation after giving birth to a bouncing baby girl and sharing her ordeal on Facebook. 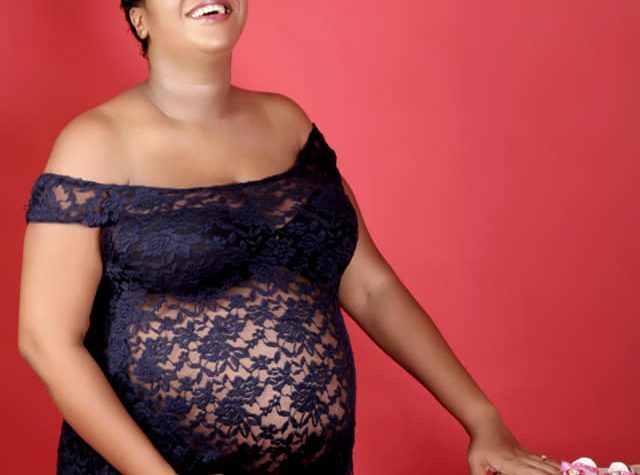 The woman who claimed to be a Mass Communications graduate identified as Sandra Harrison, said she had over 19 miscarriages and even stopped counting when it was getting too much before she finally gave birth. I took drugs and drank concotions till I was almost shapeless, people kept telling me “Sandra u are getting fat oh, u better watch it”, without knowing what I was going thru, how would I have told them that it was the hormonal drugs that was making me fat. 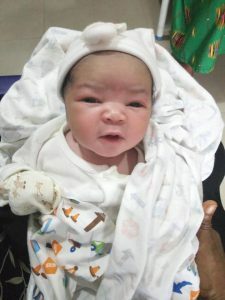 One said she went with me to where I did the abortion that cost me my womb, another said I have plans of leaving my husband that’s why I didn’t want to get pregnant for him, another said I should keep buying cars, instead of building my home and filling it up with children, another said God has not given me my own kids bcos I don’t appreciate other people’s kids, another said im eating the children in my womb tru witchcraft, another said God will not bless me with my own kids bcos I have a bad character. I was called barren, a man, a wood, infertile, a witch……. the list of names and gossip is endless. I prayed, oh believe you me, I prayed, I fasted, I cried, I went to different churches, I was in the chior, I cleaned the church on Saturdays. To a large extent I was faithful to God, yet nothing happened, and I kept asking God why he hated me so much.